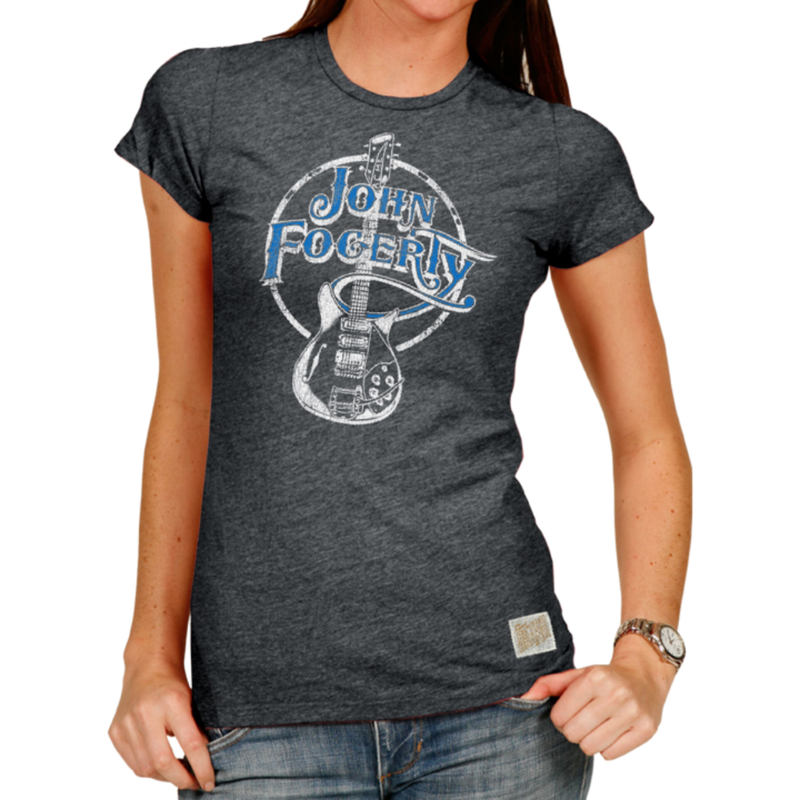 John Fogerty is considered one of the greatest rock guitarists of all time, so our new guitar print is quite fitting! Printed on Retro Brand’s ladies tri-blend crew tee in streaky black. 50% polyester, 38% cotton, 12% rayon.